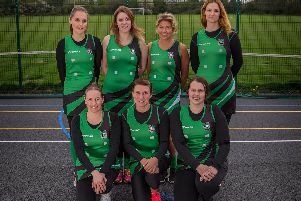 The netball community rallied together to help raise more than £1200 for one of their fellow players. 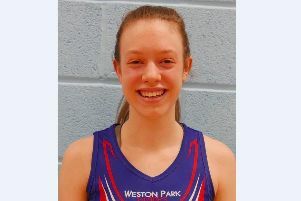 Pinks, who played in the Gosport and Fareham Netball Association, hosted a tournament at Cams Hill School for Amie Gibbs, who was diagnosed with Hodgkin’s Lymphoma – a type of cancer – last year. Gibbs has been an avid player in Gosport for the past 11 years. And her Pinks team-mates decided to raise money to thank the staff who looked after her during her treatment. Cams Hill School, in Fareham, kindly donated their newly-resurfaced courts for the entire day. All About Netball stepped in to sponsor the medals and trophies for the competition. Meanwhile, the Gosport & Fareham Netball Association named the event as their charity donation for the year, handing over a £100 cheque. Pinks also got busy baking cakes, collecting raffle prizes and bottles for the tombola. The ladies were hugely successful and everyone involved pulled together to raise more than £1200. Teams from Portsmouth, Fareham, Gosport and Southampton played in the the family event. Meanwhile, dads, uncles, brothers even grandads were encouraged to participate. A bouncy castle and face painter were also present to keep the children happy. Ten teams were involved and were spilt into two groups. Each side played each other once before meeting in play-off matches depending on where they finished in their respective pool. CSSC and Harlequins met as the lowest-placed teams, with the latter taking the win. Chavtastics, from Gosport, won the fancy dress competition but lost to Picton West, who claimed seventh spot. Allstars were beaten by GB Mavericks by just one goal to separate them from fifth and sixth. Fighters, led by Louise Giddings, had to settle for fourth as Blake Morgan took 14-4 win to seal third. In a nail-biting final Invinci-Balls edged past Festigals to claim the silverware.